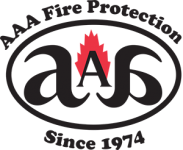 AAA Fire Protection Services is an industry expert at fire protection and fire suppression. For more than four decades, we have served the businesses of Redwood City and the entire San Francisco Bay Area, including Silicon Valley. Our comprehensive list of services includes detailed fire sprinkler services. Further, we work with integrity and honesty to build long-lasting and positive relationships with every client with whom we do business. Our fire sprinkler services begin with fire sprinkler installation. Our team of professionals is happy to work with your architect or your design team for the design of a building-specific sprinkler system that helps decrease the risk of fire and to decrease the damages that fire can cause. The second part of our fire sprinkler services includes fire sprinklers inspections and when deficits are found we do fire sprinkler repairs. It's our top priority that your fire sprinkler system is always capable of defending your business against the ravaging effects of fire. Please call us at (800) 543-5556 for a detailed quote or for answers to any questions you might have.